I used to teach kids about bluebird nestboxes at an outdoor program in Montana, and peeking into nestboxes is like opening presents. Even better, Jerod grew up with a watching the video-cam installed in a kestrel nestbox in his backyard (right in the urban core of Phoenix, AZ). As a result, the opportunity to volunteer with this project is one neither of us would have missed. 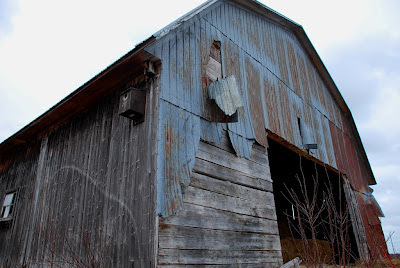 It was pretty neat to get out into the countryside, meet some local (French-speaking) farmers, and poke around old barns. One gentleman was busy amassing a vast stockpile of firewood, while another family was helping a dairy cow calve. We hoped to see at least one kestrel, since they are everywhere back in MT, but we didn't. We did see a huge flock of snow geese, and some other interesting critters! For a look at all the photos from the day, click here to visit our photo gallery. For more about the project, keep reading. Local students address the "Kestrel Conundrum"
At University Laval, an on-going kestrel conservation project takes Earth Day considerations to new heights. Since 2009, student members of the University Laval chapter of The Wildlife Society have been installing and monitoring nestboxes designed specifically for American Kestrels (Falco sparverius). Former Laval students, Jean-François Therrien and Jean-Rémi Julien, initiated the project as a way to launch the chapter, and to engage members with an ongoing conservation project. American Kestrels are the smallest falcon found in North America, and their range spans much of North and South America. Their rufus backs and breasts, slate blue-gray heads and wings, and bold black bars on their heads, backs, wings and tails make them a favorite of bird watchers. Ranging from 2.8-5.9 oz in weight and 7.5-12 inches in length, males and females vary more in plumage coloration than in size. They hunt insects and small animals in open fields and meadows, and have a history as a popular falconry species. Although still considered one of the most common falcons in North America, regional and continent-wide trends indicate serious declines in kestrel populations over the past thirty years. Researchers based in Quebec and across the continent have focused efforts on identifying factors which might be driving this decline. Four reasons are widely implicated: contamination due to pesticides and other chemicals, habitat loss and degradation, increased predation by larger birds of prey, and West Nile Virus. However, according to a number of articles and peer-reviewed publications, none of these factors fully explain the scale of the population decline. Motivated by widespread concern about declining kestrel populations, kestrel nestbox projects make two key contributions to conservation efforts. Kestrels require nest cavities, such as those often found in standing dead trees. As development continues to decrease available habitat, nestboxes designed for kestrels are thought to help offset this loss. Additionally, known nest locations help researchers conduct monitoring studies, making it easier to evaluate reproductive success and even population numbers. Several students are involved each year with various stages of the project. In March and early April, all the boxes are visited, cleaned, and repaired. “In early June,” explained Le Corre, “we check the boxes again, to see if they are occupied by a pair of kestrels. A few weeks later, we return to the boxes in which we found kestrels, to confirm whether they have laid eggs. If that is the case, we return in mid-July to band the young kestrels.” Students from undergraduate and graduate levels are recruited to assist with the all-day outings. 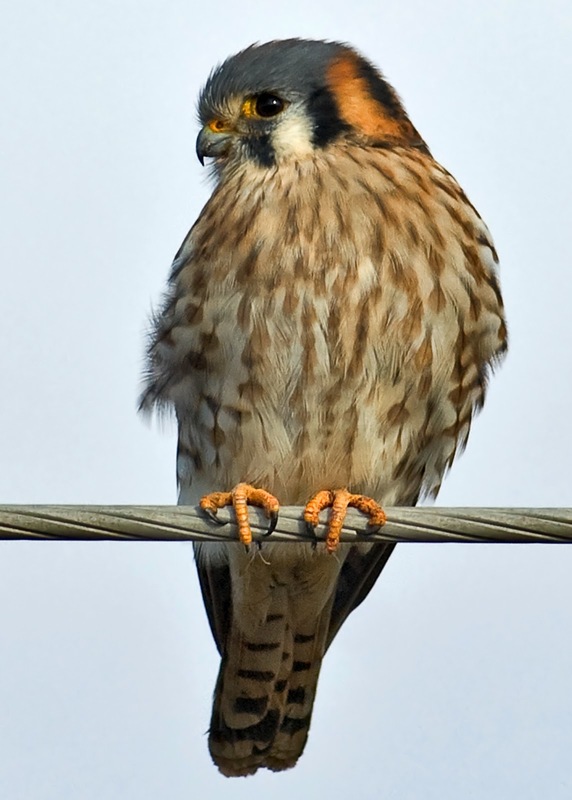 For more information about kestrels and related conservation efforts, visit kestrel.peregrinefund.org. An extra bonus, the site features a webcam enabling viewers to observe a pair of kestrels raising their young inside a nestbox. Throughout North America, citizens are contributing to this effort by building and installing nest boxes - for kestrels and other cavity-nesting birds. This website also provides details on constructing and placing your own kestrel nestbox and how to join citizen monitoring projects. We miss you guys. Please come visit when we have the Grand Opening of the new MUD Tool Library & Truck Share. It should be in Sept. sometime. You always have a place to stay in Missoula. We miss you guys, too! I don't know if we're going to make it there in Sept. That's when work starts to pick up again for both of us, and my sister is coming to visit (here in QC) the 1st week of Sept. I WISH we could be there for the Grand Opening, though! Hugs to you and Pat!